In 2015 the 50 largest U.S. cities saw a 17% rise in homicides, the biggest increase since 1990. 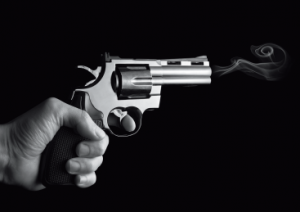 Because we do not respect others and occasionally ourselves, violent criminals lack respect for their victims. 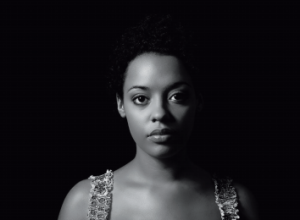 Domestic abusers lack respect for themselves and their families. Sexual predators lack respect for their victims. What can we do? 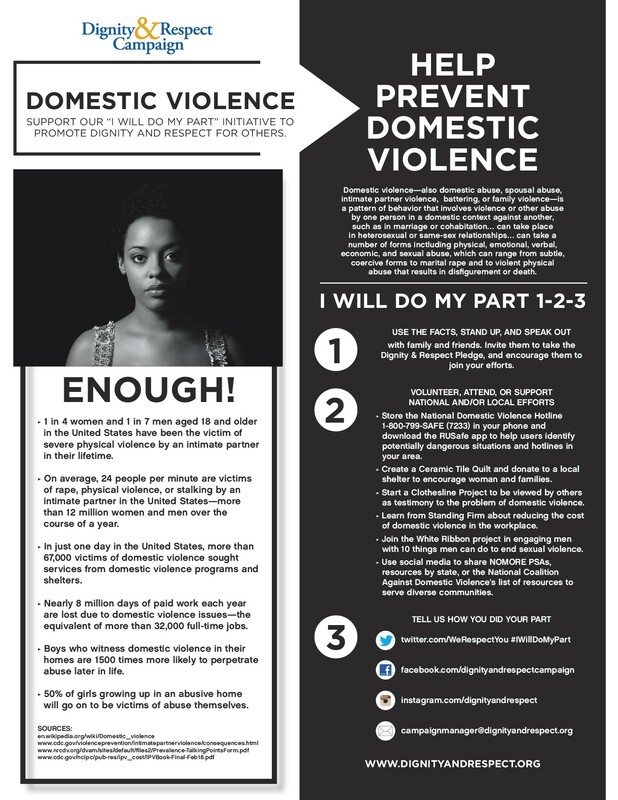 The NFL Players Wives promoted domestic violence awareness at their annual conference in Atlanta in 2015. They held a Ceramic Tile Quilt event in collaboration with the Dignity & Respect Campaign…. Know about the National Sexual Assault Hotline – 1.800.656.HOPE. Use the IT’S ON US tips to help you stand up and speak out. Visit Not Alone Project, to find a crisis service, learn more about victim rights, school responsibilities, and how to file a complaint. 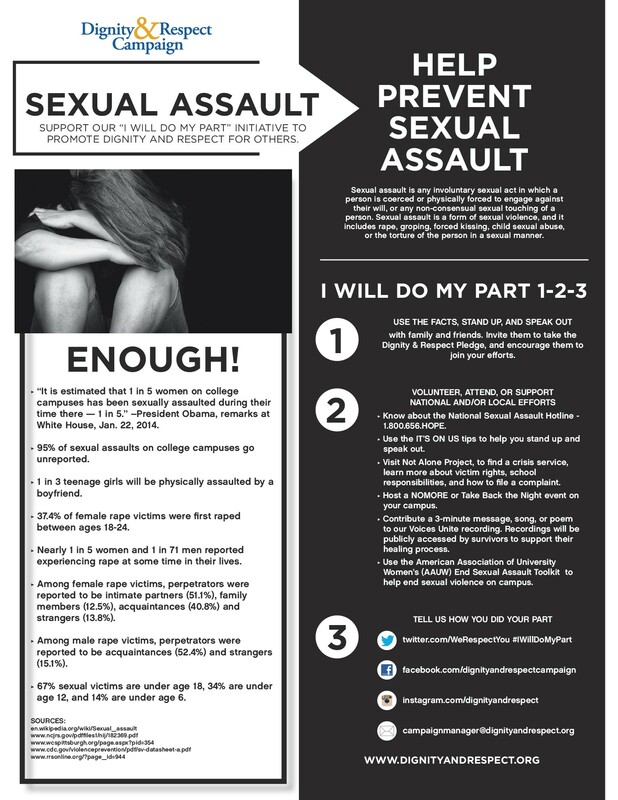 Host a NOMORE or Take Back the Night event on your campus. Contribute a 3-minute message, song, or poem to our Voices Unite recording. Recordings will be publicly accessed by survivors to support their healing process. 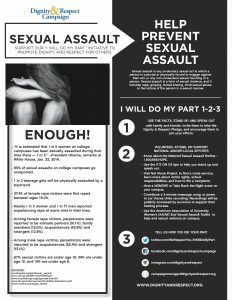 Use the American Association of University Women’s (AAUW) End Sexual Assault Toolkit to help end sexual violence on campus. 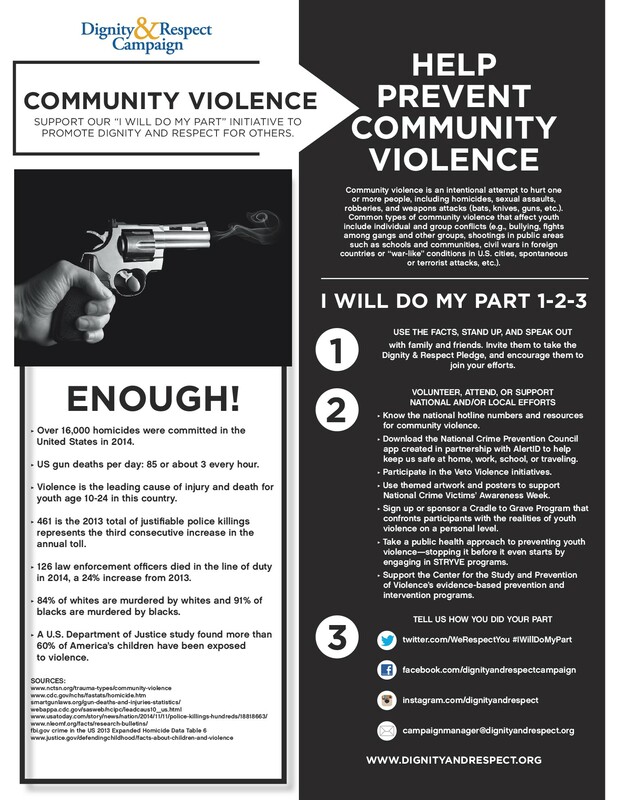 Know the national hotline numbers and resources for community violence. Download the National Crime Prevention Council app created in partnership with AlertID to help keep us safe at home, work, school, or traveling. Participate in the Veto Violence initiatives. Use themed artwork and posters to support National Crime Victims’ Awareness Week. Sign up or sponsor a Cradle to Grave Program that confronts participants with the realities of youth violence on a personal level. Take a public health approach to preventing youth violence—stopping it before it even starts by engaging in STRYVE programs. Store the National Domestic Violence Hotline 1-800-799-SAFE (7233) in your phone and download the RUSafe app to help users identify potentially dangerous situations and hotlines in your area. Create a Ceramic Tile Quilt and donate to a local shelter to encourage woman and families. Start a Clothesline Project to be viewed by others as testimony to the problem of domestic violence. Learn from Standing Firm about reducing the cost of domestic violence in the workplace. Join the White Ribbon Project in engaging men with 10 things men can do to end sexual violence. 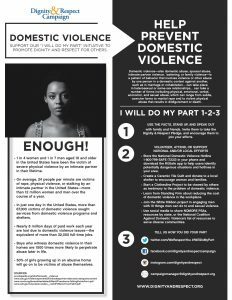 Use social media to share NOMORE PSAs, resources by state, or the National Coalition Against Domestic Violence’s list of resources to serve diverse communities.